Skip the restaurant and dine at the luxury of your villa or yacht. Our team sources fresh ingredients and cooks meals personalized to your taste. We can take care of you from breakfast to dinner and accommodate various dietary restrictions. 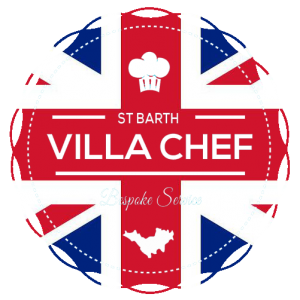 Our Bespoke Chef Service is “The” answer to provide you with delightfully tasting, healthy meals in the luxury of your villa or yacht… without the stress of shopping & cooking during your holiday! Flexible on timing, your chef cooks for you (family & friends) delicious meals with fresh products. 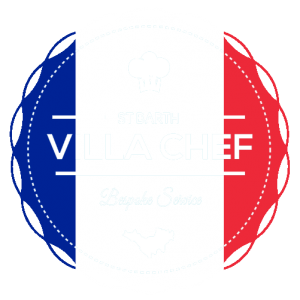 Better than going to restaurants, our dishes are personalized to your own tastes: salads, local fish tartar / ceviche, BBQ with St Barth lobster & good quality meats, home-made desserts as chocolate fudge cake & the famous French « Tarte Tatin », fresh fruits platter… etc. Special diets available: gluten-free, vegetarian, vegan, child friendly food…. On request, we also take care of drinks (wines, champagnes, spirits and soft drinks). No cork or commission fee will be charged. You choose directly from a large list of our suppliers. From 280 € / day for a single service and up to 480 € / day for a full service of three meals. Breakfast service at 200 € / day (service from 7am to 10:30am).